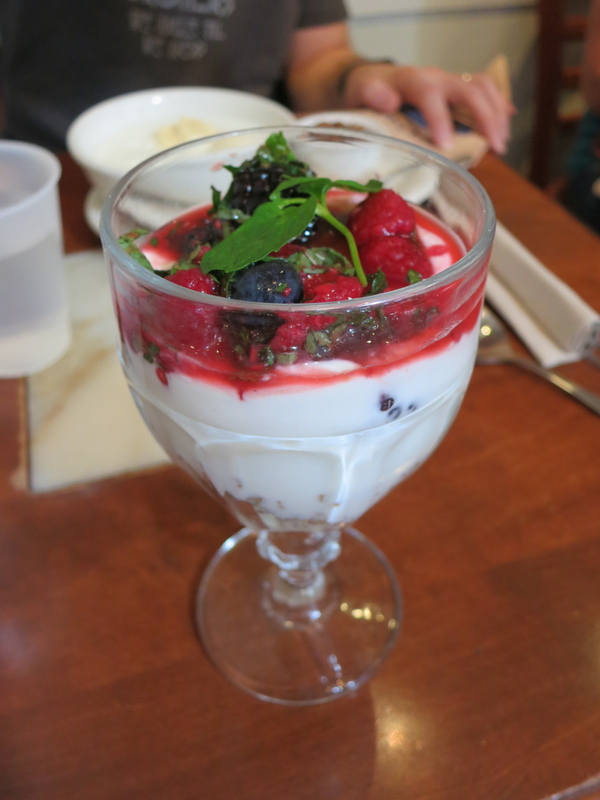 A new found breakfast spot…and I like it! I’ll be totally honest, there were probably only 4 tables filled while we were there and they service was painfully slow but the food was excellent and I would definitely go back. 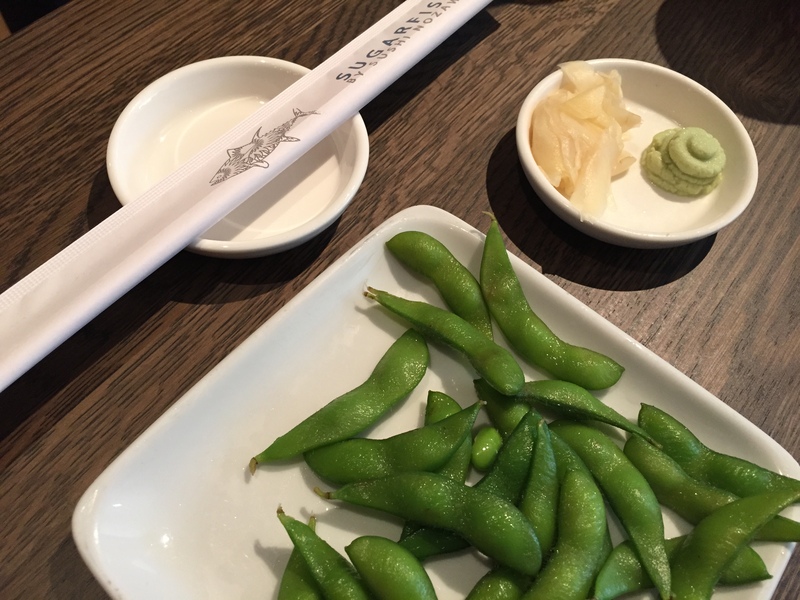 Nothing about the menu (lunch and dinner included) is crazy different but it’s good food, good quality and well done therefore a success in my book. Definitely worth a try. It’s much more relaxing than most places I’ve tried in the area for breakfast not to mention the price is definitely right! 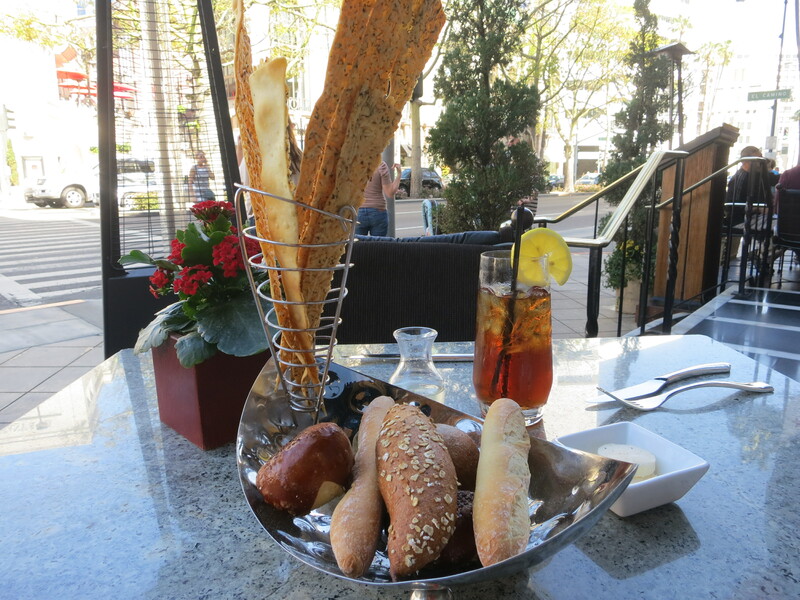 There’s no better place in Beverly Hills to eat well and have the best people watching right in front of you. Located in the timeless Beverly Wilshire at the tail end of Rodeo Drive, The Blvd comes with a high price tag but it’s THE quintessential Beverly Hills experience. 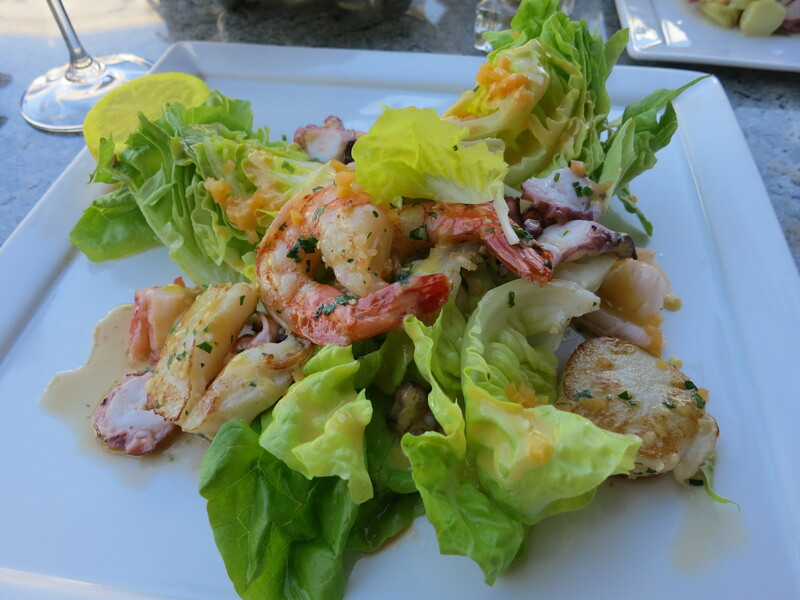 Almost every time I’m there I get the Seafood Salad. It’s changed over the years but is never disappointing to me and comes with the highest quality of seafood one would expect for a $33 salad. 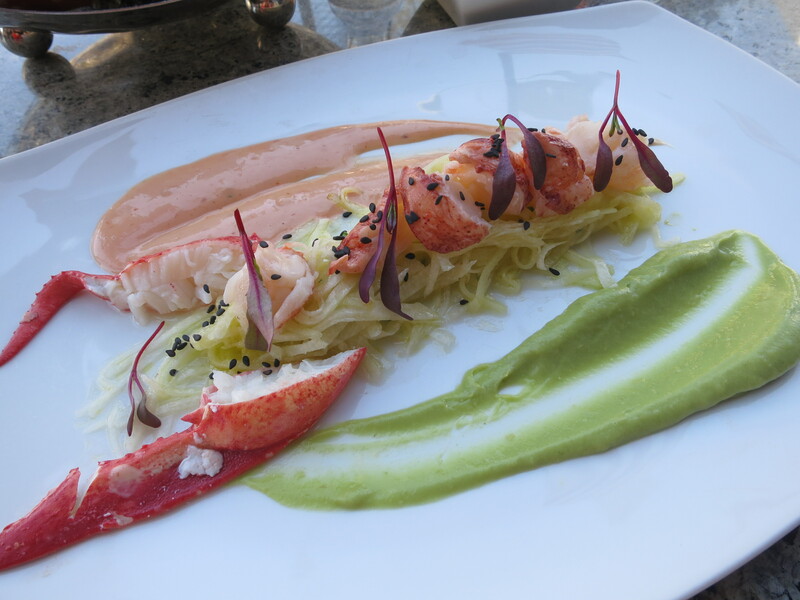 My husband started with the Lobster Salad which was divine. I especially loved the green apple. 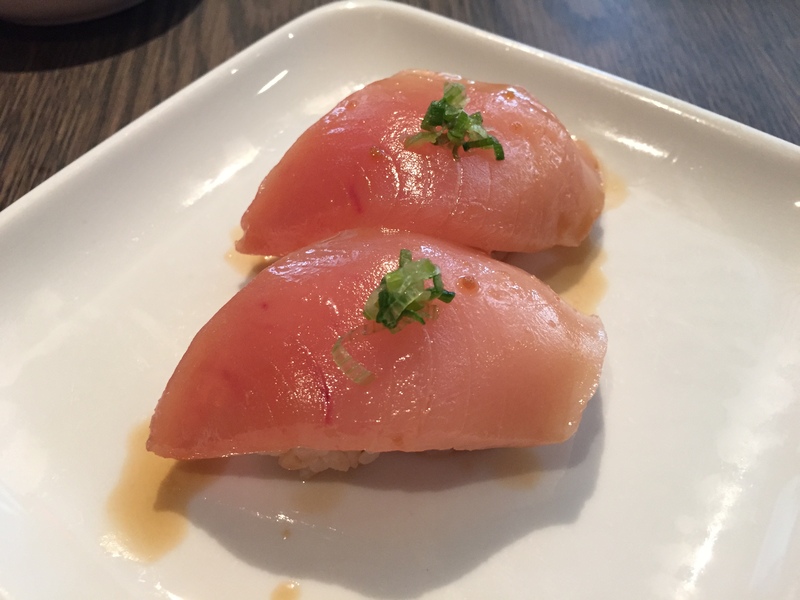 It added such a lovely acidity and made the dish perfectly balanced. 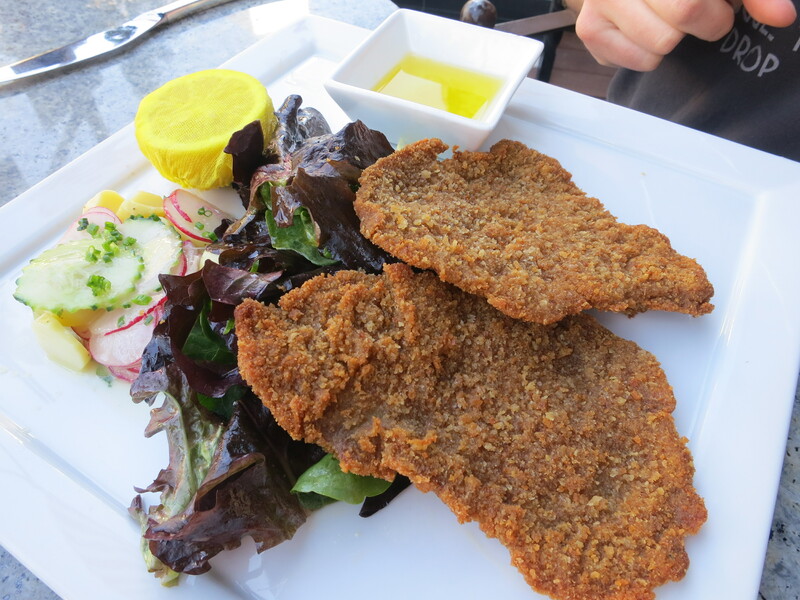 For his entrée he got the Veal Schnitzel…whoa…I had a tinge of order envy but luckily he was nice enough to give me a couple of bites. The veal was pounded thin and cooked to perfection. So tender and full of flavor…this was definitely a success. My only advice is to add a good squeeze of lemon juice on top. 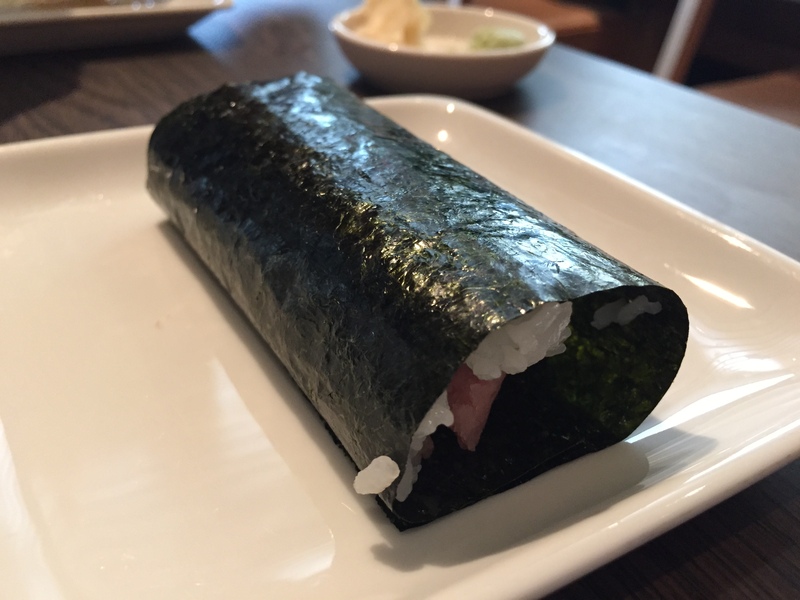 It brightens the dish and makes it not as heavy tasting. Just to name a few, Bob Green, Mariel Hemingway and André Leon Talley were all dining there the last time I was there for lunch. Does it get much better than that?! Go! 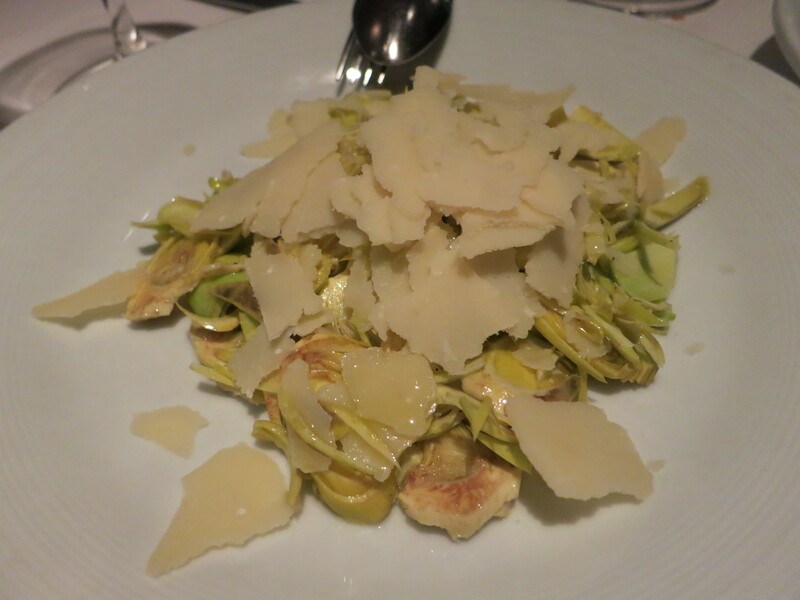 Carciofi e Parmigiano – baby raw artichokes and Parmigiano cheese and rucola *SO good! 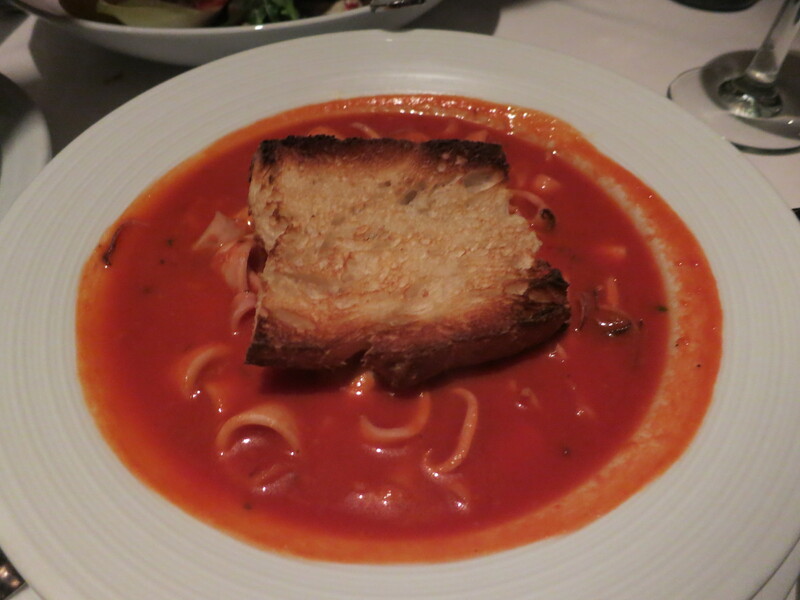 A light dish that got eaten quickly…everything about it was well balanced and seasoned perfectly. 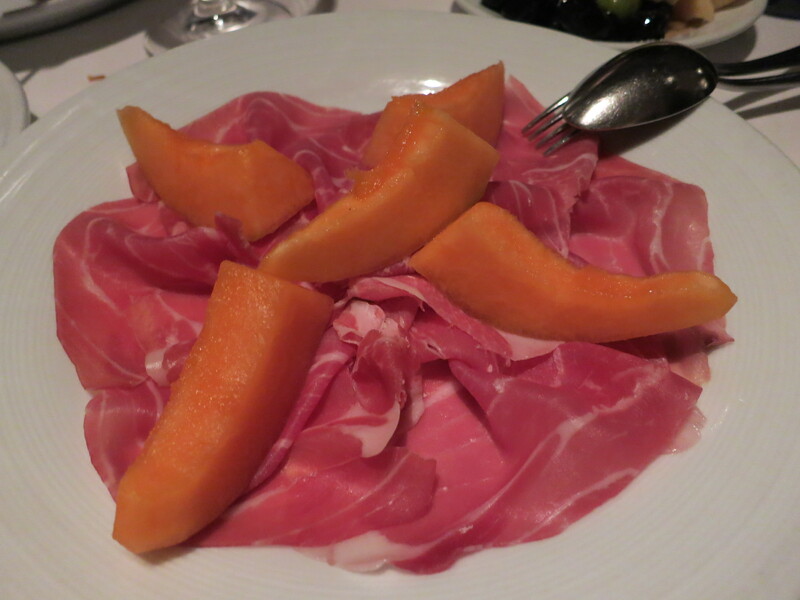 Prosciutto e Melone – Parma ham and melon *Classic Italian dish…how can you go wrong? 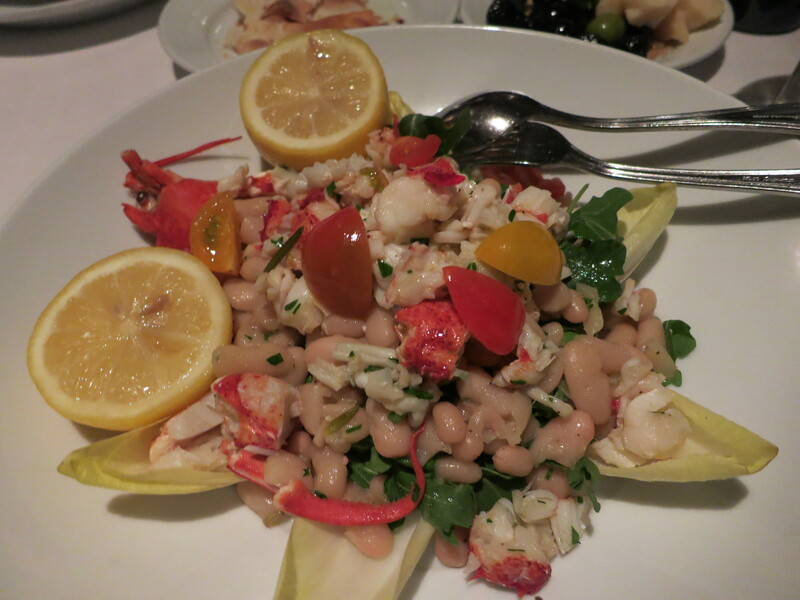 Fagioli e Aragosta – Italian Cannellini beans with diced lobster and Rucola salad in a lemon dressing *This was such a beautiful flavorful starter. Plenty to share but honestly something I could eat everyday. DE-lish! 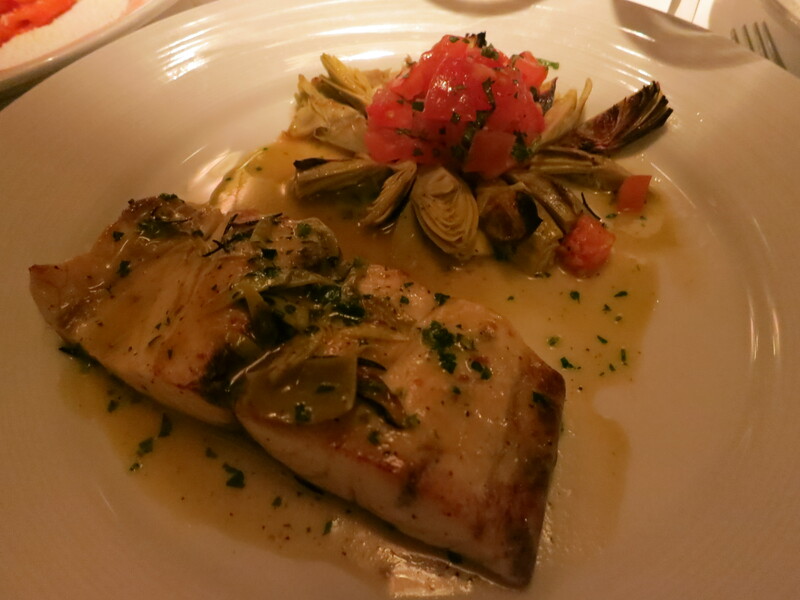 Branzino di Mare al Carciofi – filet of wild sea bass baked with white wine and artichokes *On the special menu…VERY good! 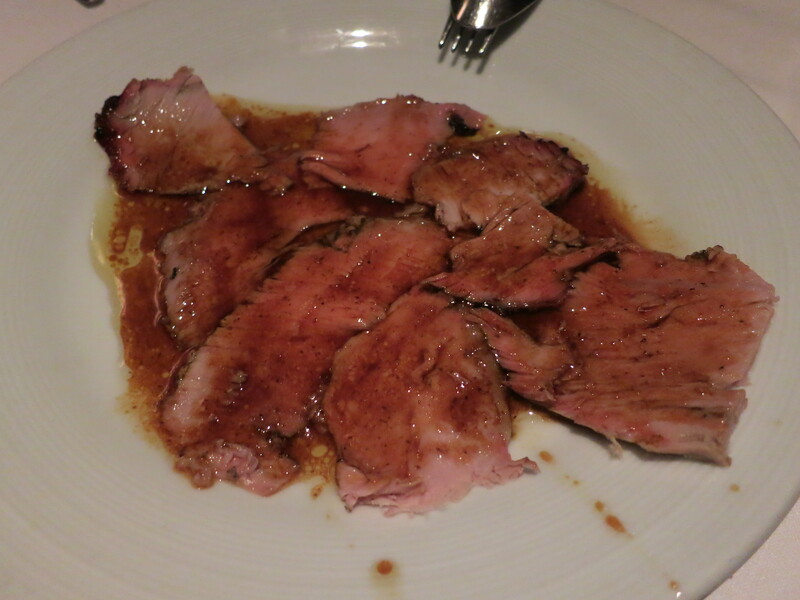 Vitella Arrosto – sliced roasted leg of veg from the cart *We didn’t order this but as we were paying our bill…STUFFED…we all salivated while the chef started carving this beautiful meat and then carefully coated each delicate piece with some au jus. 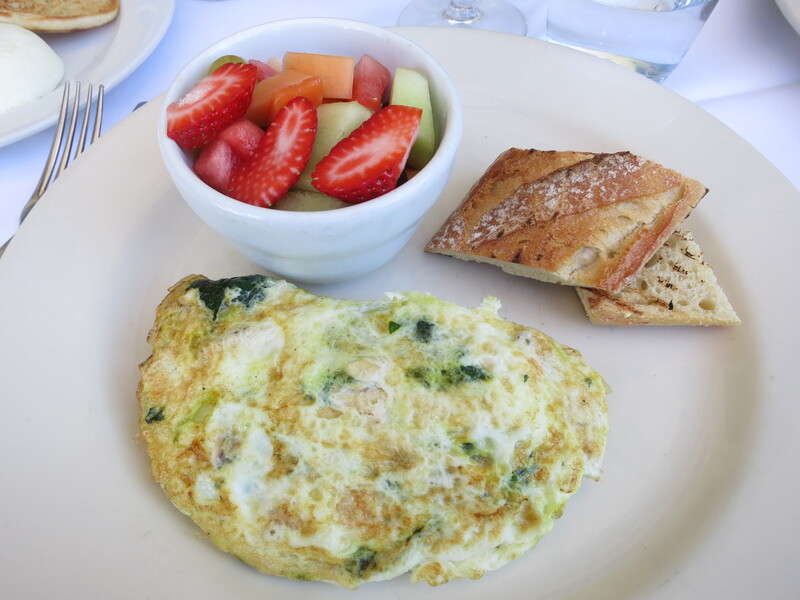 Thankfully our waiter saw our oh-so-descreet drooling and had the chef make us a plate. I can’t describe how flavorful this was. 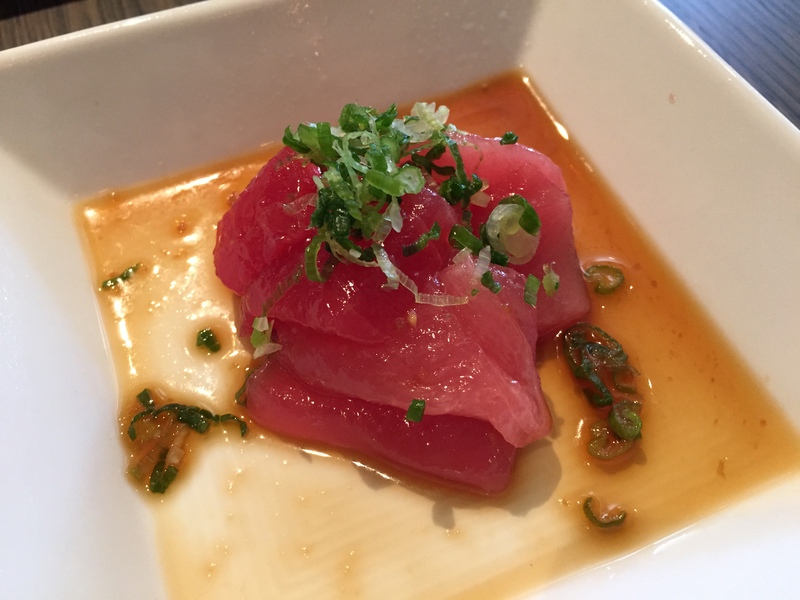 It was on the special menu but seriously if you go and it’s on there and you have enough people to share with…GET IT!! !